Jessica Simpson Happy Christmas- I am a huge J Simps fan. I've loved her since her "Newlywed" days...even dragging Shannon to one of her concerts last year. I even have the t-shirt to show for it. It was magical. 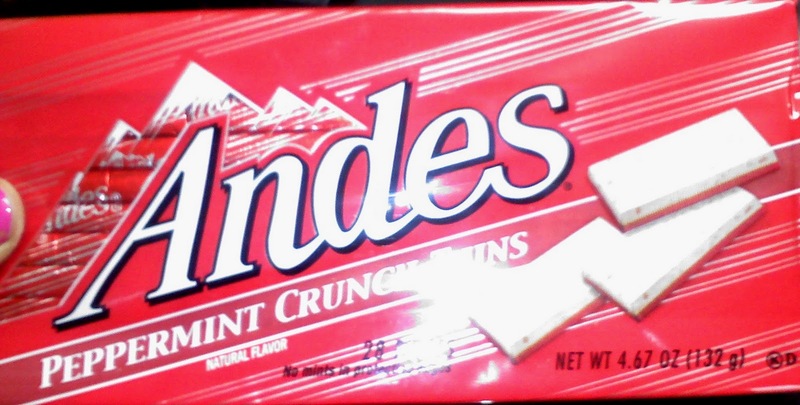 Andes Peppermint Mints. As soon as I found these I texted a pic to my New York bestie and fellow sweet tooth. She responded that she didn't really like peppermint. I of course responded by asking if she was even American. She then asked how liking peppermint had anything to do with being American and I in turn explained that it was right up there with watching baseball and loving Elvis. The battle was then won. Gym Training Sesh - I had a fabulous gym training session this week. I'm so sore! I felt like an 86-year-old granny when I woke up the next day. That part wasn't too fabulous but I LOVE new workouts that push you and I learned some amazing ab exercises. My favorite was the plank knee touch on the yoga ball (and by favorite I mean the one that hurt the most...obviously). Don't be decieved - it looks easy - it is NOT! Sally Hansen Wet Cement: I just saw on E News that the "it" color for Fall is "Grayge" - that's gray with a touch of beige. I picked up a bottle of this shade last week and even though I've decided it could use a smidge more beige tones, am currently loving it. My trainer told me it looked like primer....way to a girl's heart. One Tree Hill - Did anyone see last night's episode? Does anyone still watch this show? If you don't, you should. You're missing out on some juicy TV....and who doesn't enjoy drama that's not your own? My BFF Kayla first introduced me to this show in college and, along with the bachelor, it became our weekly study break tradition. We'd curl up on the couch and watch the drama unfold. Last night's episode was perfection-it was scary, romantic and action-packed. When the commercial break hit, I caught a glimpse of myself in the mirror - white knuckles gripping the living room throw, mouth wide open..it was THAT good. Saturday Run - Saturdays are the days I get my long runs in and my run this past weekend was fantastic. 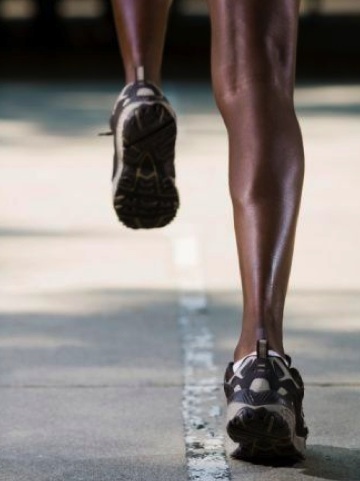 I'm working up to 13 miles in hopes to run a half marathon in 2011. I came just shy of eight miles on Saturday and am already excited to push myself a little further this weekend. What little things get you through your week? Ok, we really might be twins. I love this (minus the Saturday run). Hope you have a wonderful day! We're about the same... specially the Saturday run! But don't forget about puppies!